What foodies are to cuisine—Venturetainment is to the restaurant and entertainment real estate sector. A division of Venture Commercial Real Estate L.L.C., Venturetainment specializes in strategic market planning and site selection for firms in the food service and entertainment industry. 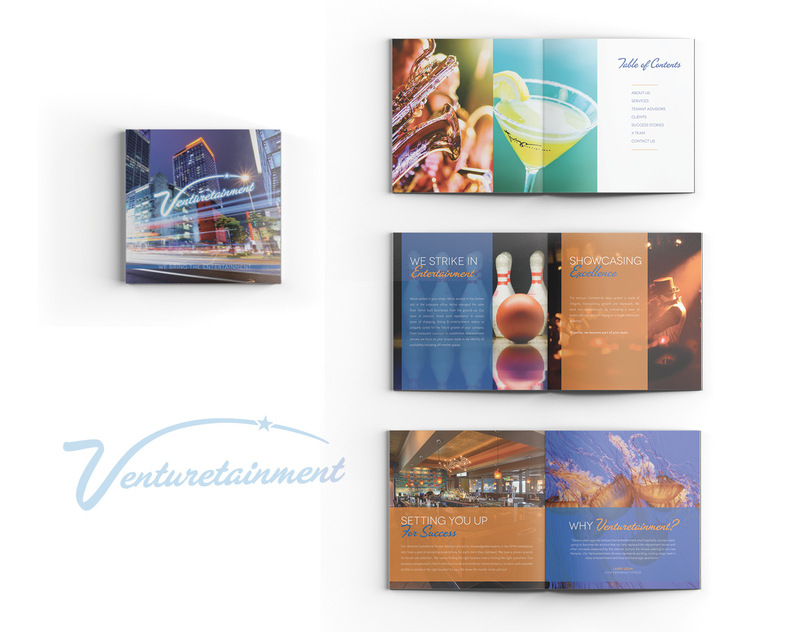 We assembled and designed a marketing book, featuring the many variety of types of entertainment venues they are experts in servicing. Another main objective was to demonstrate through this book their cutting edge appeal and personalized approach, with an attractive and adventurous look and feel.